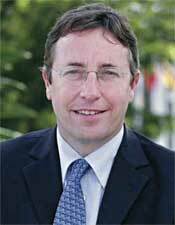 Smart public policies are key to powering up sub-Saharan’s Africa’s clean energy potential, said the head of UNEP Achim Steiner while unveiling UNEP FI’s latest report in Nairobi Tuesday. Financing Renewable Energy in Developing Countries: Drivers and Barriers for Private Finance in sub-Saharan Africa outlines how current obstacles to renewable energy solutions in Africa can be tackled with the help of private finance. “Accelerating and scaling-up sustainable energy for all will be key to realizing a transition to a low carbon, resource efficient ‘inclusive’ Green Economy,” said UN Under-Secretary-General and UNEP Executive Director Achim Steiner. The report identifies three main roadblocks to a more vibrant renewable energy sector – namely cost, structure, and risk. It details how these can be overcome in sub-Saharan Africa. Its conclusions and recommendations to sub-Saharan Africa and international policy-makers are based on a survey of 38 financial institutions. More information here.